iPhoneRepairBaseBlogiPhoneRepairBaseHow to activate new iPhone 7 and 8 by virtual home button after installed iRB Universal Home Button? As we known, iRB home buttons are selling very hot from the beginning of 2019, as this new innovative iRB home button with return function is really very useful for the iPhone 7, 7 plus, 8 and 8 plus with broken home buttons. The iRB home button uses the Bluetooth technology to achieve return (back) function. So this physical iRB home button has the limited to activate the brand new iPhone 7 without Bluetooth connecting. As when power on the new iPhone 7, will be needed to “press the home button to open” like below picture. 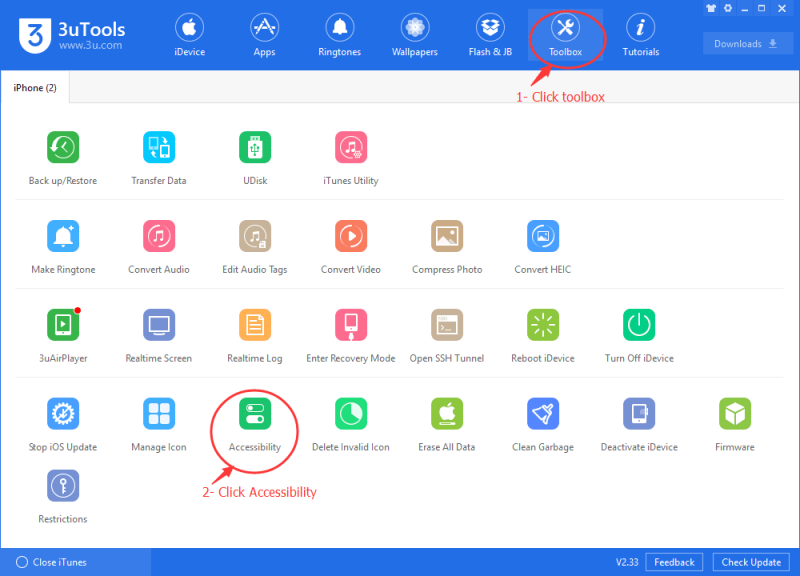 Here we share you how to use the 3uTools software to open the virtual home button to solve this problem. 1. Download 3uTools from http://www.3u.com/, then install this software in Windows. 2. Open 3uTools software, and connect your iPhone to Windows PC using USB cable. 3. 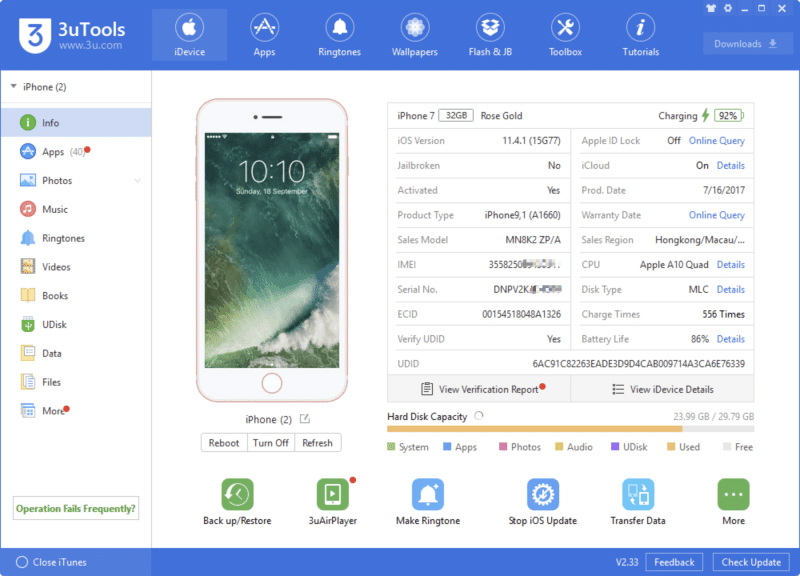 After connected and detect your device successfully, you can see the detailed information about your iPhone. 5. 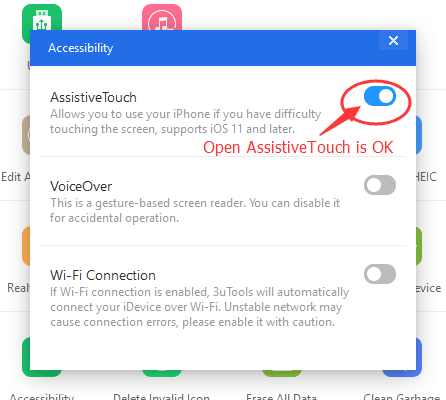 Open the AssistiveTouch, then the virtual home button will appear on the iPhone.